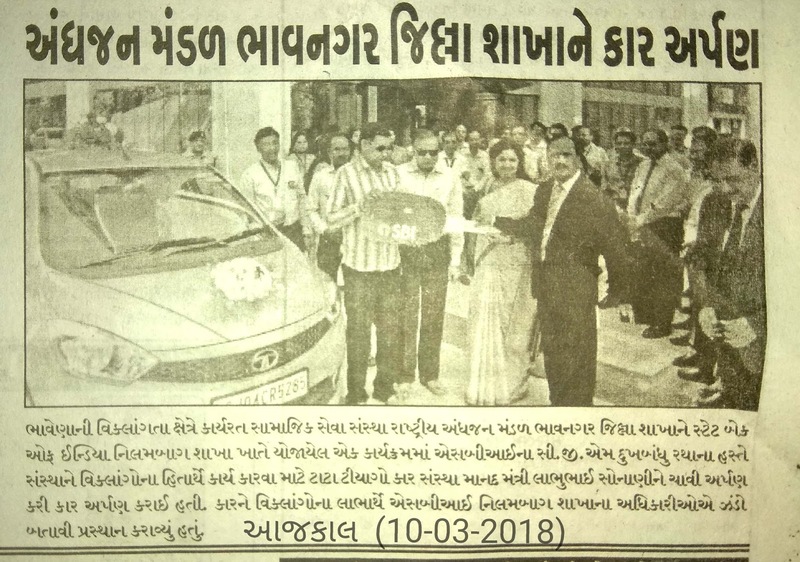 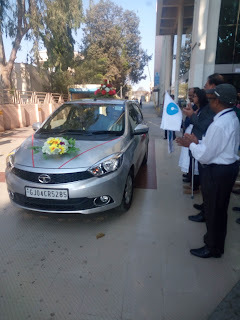 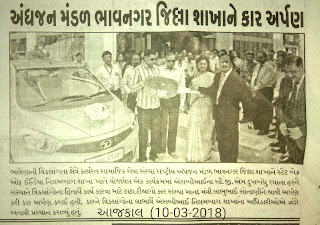 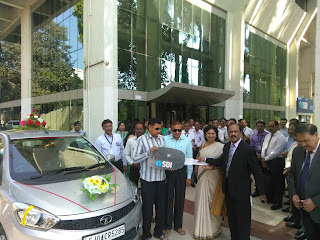 Tata tiago car donate to NAB Bhavnagar by the State Bank of India for To work for the overall development of Blind People. 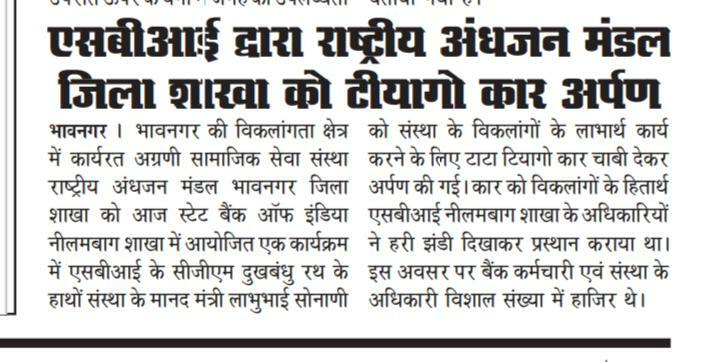 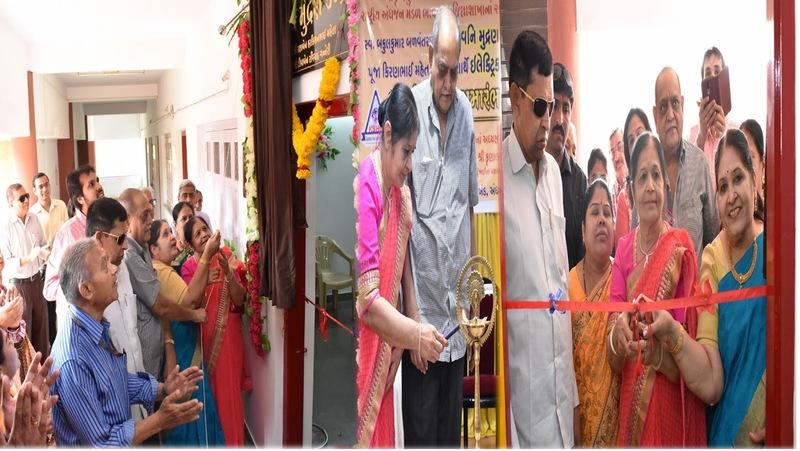 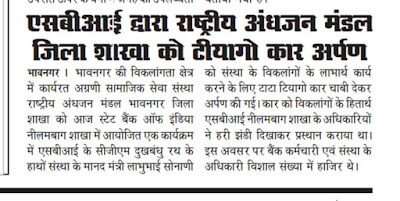 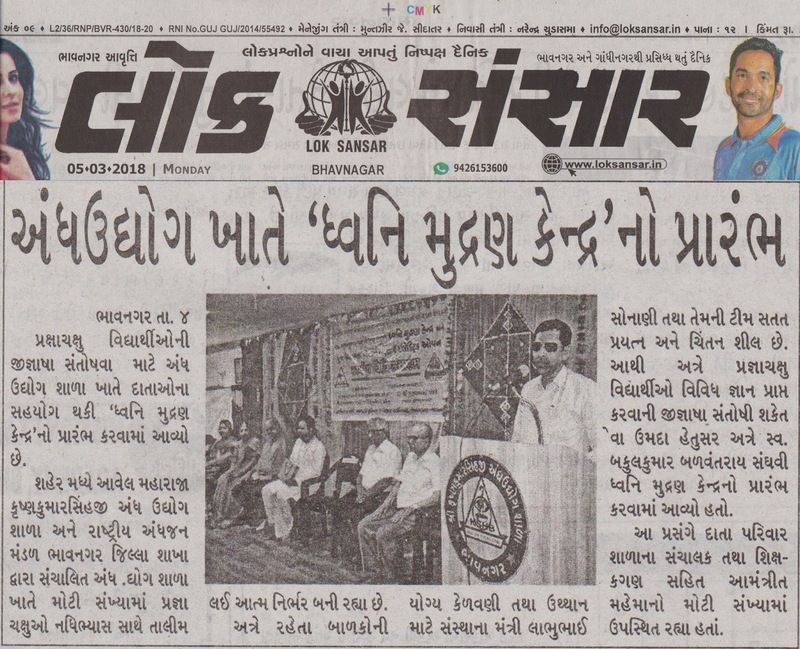 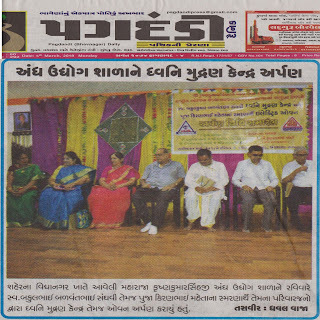 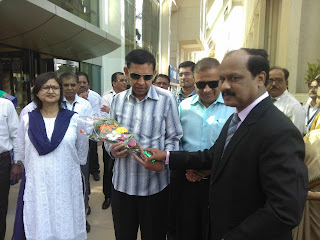 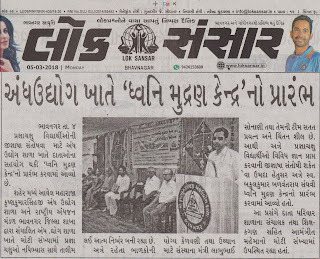 National Association for the blind Bhavnagar district branch . 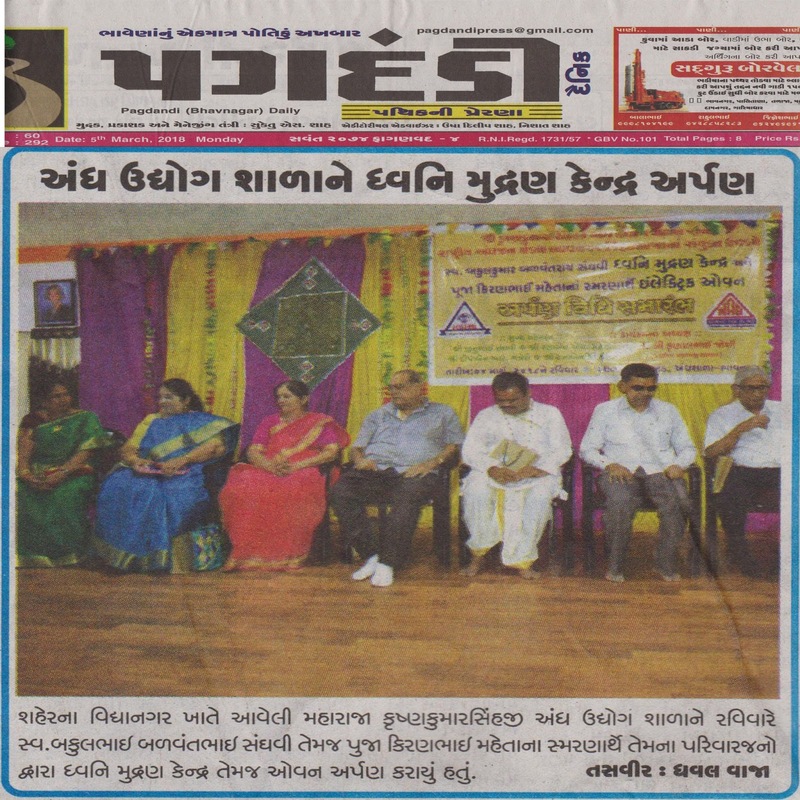 રંગારંગ કાર્યક્રમો સાથે ઉદ્દઘાટન થયું.